This article was written during 1963-1964 while I was in my second of three years of studying philosophy at Shrub Oak, New York. (This was Shrub Oak College of Woodstock College, and was Fordham University's College of Philosophy and Letters. This is where I was awarded my A.B., in physics and my Ph.L.) It was published by Jubilee: A Magazine of the Church and Her People in their July, 1965, issue, at page 39 et seq. NOWADAYS there is scant difference between new Catholic and Protestant church buildings of contemporary design. Protestants have brought back the altar, the crucifix, candles, paintings and statues, while Catholics have reduced the embarrassment of decorations which had become characteristic of their temples. Liturgy and sacraments indicate a return of tradition to Protestant life. At the same time Roman Catholics are beginning to realize that Martin Luther's influence really did reform the Church. Although the ecumenical movement as we know it is primarily Protestant in its originsit was in 1910 at Edinburgh that the first meeting of Protestant leaders was held to bring about the union of Christianity, and in 1948 at Amsterdam that the World Council of Churches was formedtoday, Protestants see that they will profit by acquaintance with Roman Catholic tradition and theology, and Roman Catholics realize that they do not possess all truth, that the Spirit breathes in and through their separated brethren, that the Word is preached by the disciples of the Reformers. In mid-twentieth century, Protestant and Roman Catholic are drawing together as never before. Now, Hans Küng's Justification: The Doctrine of Karl Barth and a Catholic Reflection; with a letter by Karl Barth (Nelson, $7.00) has been published. A translation of Rechtfertigung, which first appeared in German in 1957, it is the first good Catholic study of Barth in English; as such it should help erase faulty notions about Barth's thought on justification, which both Protestant and Catholic scholars have perpetuated. In his studies as pastor at Safenwil, Barth was strongly influenced by the writings of Søren Kierkegaard and by modern philosophy. During the twenties, in partnership with Emil Brunner, Barth's thought took the form of a dialectical theology; Barth now reflects that during that period his theology was too much under the influence of dialectical philosophy. But it was during his "first conversion"the rejection documented in Der Römerbriefand this period of dialecticism that Barth became committed to modern existentialist thought. Finally in 1930, while conducting a seminar on Anselm of Canterburry, Barth discovered the analogy of faith, "a vital key, if not the key to an understanding of that whole process of thought that has impressed me more and more in my Church Dogmatics as the only one proper to theology." Barth calls this his "second conversion," and since that time his thought has developed consistently, save perhaps for aspects of his sacramental theology. Küng shows that Barth's theology since 1930, like Roman Catholic theology, is a theology which has an "open system." Thus the "activist categories" of Barth are not basically different from the "dynamic categories" of Roman Catholic thought. And if the latter spring from a synthesis of Christian and Greek thought, we may say that the former spring from a synthesis of Barth's initial vision which led him to reject the theology of his school days and the existentialist thought which provided and alternative to Neo-Protestantism. Although he is a leading figure in contemporary theology, Karl Barth's thought is often misunderstood, especially here in America. Barth addresses Catholic as well as Protestant theologians when he asks: "Am I in error when I have the impression that quite extensively in the world of Anglo-Saxon theology there is a definite aversion to voluminous books as such, and a certain preference for summaries that are easily understandable and may be repeated in simple catchwords? . . . Am I deceived when I have the impression that there I exist in the phantasy of far too manyeven of the best menmainly only in the form of certain, for the most part, hoary summations; of certain pictures hastily dashed off by some person at some time, and for the sake of convenience, just as hastily accepted, and then copied endlessly, and which, of course, can be easily dismissed? . . . Should I weep or laugh? Is this the only way I am known in the English-speaking theological world in spite of all the translations that have appeared so far? How does one read? How does one really study there, even when the opportunity and possibility for study were offered through the existence of translations?" "I here gladly, gratefully and publicly testify not only that you have adequately covered all significant aspects of justification treated in the ten volumes of my Church Dogmatics published so far, and that you have fully and accurately reproduced my views as I myself understand them; but also that you have brought all this beautifully into focus through your brief yet precise presentation of details and your frequent references to the larger historical context. Furthermore, your readers may rest assureduntil such time as they themselves might get to my booksthat you have me say what I actually do say and that I mean it in the way you have me say it." "The heart and guiding principle of the Romanist doctrine of grace is the negation of the unity of grace as always God's grace to man, as His sovereign act which is everywhere new and strange and free. It is the negation of the unity of grace as His grace in Jesus Christ. It is the division of grace by which it is first of all His, but thenand this is where the emphasis fallseffected and empowered by His grace, it is also our grace." "The negative statement of Paul and the Reformers is that no human works, not even those which are demanded by the Law, which can seriously be expected of man and regarded as good, either are or include his justification. As works to advance his justification they are not expected of him and they are not good." "For it is the meaning and reach of the atonement made in Jesus Christ, the power of the divine act of sovereignty in grace, that God willed not to keep to Himself His own true being, but to make it as such our human being, and in that way to turn us back to Himself, to create the new man." 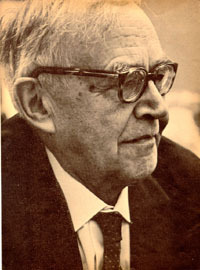 It is in the light of several of Barth's comments in this regard that Küng maintains that Barth has abandoned the "Reformation position," that Barth sees justification as "our grace" as this is correctly understood, and that the position to which Barth has turned is, in reality, the position of the properly understood Romanist doctrine which Barth misconstrues and feels he must oppose. Küng maintains that Barth has not seen the Romanist doctrine of grace clearly. But though Küng accuses Barth of taking Tridentine decrees out of context and of failing to interpret them within the totality of Catholic teaching and with due respect for the development of dogma, Küng does not deny that Roman Catholics are often guilty of the same misintrepretation and tend, at least implicitly, to kitigate the soverignity of God. THE POWERFUL, yet not overpowering supremacy of God is Barth outspoken or unspoken concern on every page of his treatment of reconciliation. Barth sees the whole process of reconciliation as a fulfilling of God's covenant with man, and like the covenant itself, as God's free soverign accomplishment through grace. As a result of this concern, Barth questions Roman theology: Does Roman theology really take justification as the free soverign act of God? Does it really accept grace as grace? Is its assertion about the unity of grace really more than an assertion? "The positive conclusion of your critique is this: What I say about justificationmaking allowances for certain precarious yet not insupportable turns of phrasedoes objectively concur on all points with the correctly understood teaching of the Roman Catholic Church. You can imagine my considerable amazement at this bit of news; and I suppose that many Roman Catholic readers will at first be no less amazedat least until they come to realize what a cloud of witnesses you have produced in support of your position. All I can say is this: If what you have presented in Part Two of this book is actually the teaching of the Roman Catholic Church, then I must certainly admit that my view of justification agrees with the Roman Catholic view." Küng's book is possible because the Christocentric orientation of theology has again become a major interest in both Protestant and Roman thought. This development is primarily due to renewed awareness of Scared Scripture and patristic theology, an orientation which makes itself felt not only in dogmatic theology but in moral theology as well. Küng's book is a first of its kind in the ecumenical dialogue; it must be followed by many more such books. Rather than casting a sympathic glance to separated brethern, Küng, mirroring Roman doctrine in Barth's work, has seen that doctrine enriched and clarified.